Diamond Property Solutions - Bathrooms, Builder, Kitchens based in Horley, Surrey. 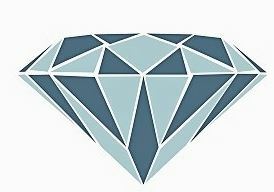 Diamond Property Solutions is a family owned company and has over 20 years’ experience in Building, Roofing, Plastering, Plumbing and property refurbishments. We undertake all aspects of Building and property refurbishments, including garage conversions and plastering works, as well as Kitchen and bathroom installations. As most of our work is obtained by 'word of mouth recommendation' it is important to us that every job we do is completed to a high standard. We offer free 'no obligation' quotations and all our work is fully guaranteed for your piece of mind. Please feel free to contact us via telephone or email. Horley, Earlswood, Redhill, Reigate, Tadworth, Horsham, Epsom, Crawley, Surrey, Sussex, Kent.